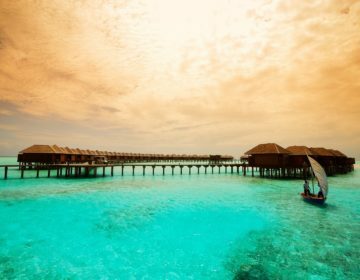 Easily one of the world’s most beautiful destinations, the Maldives are, for many, a once-in-a-lifetime experience. 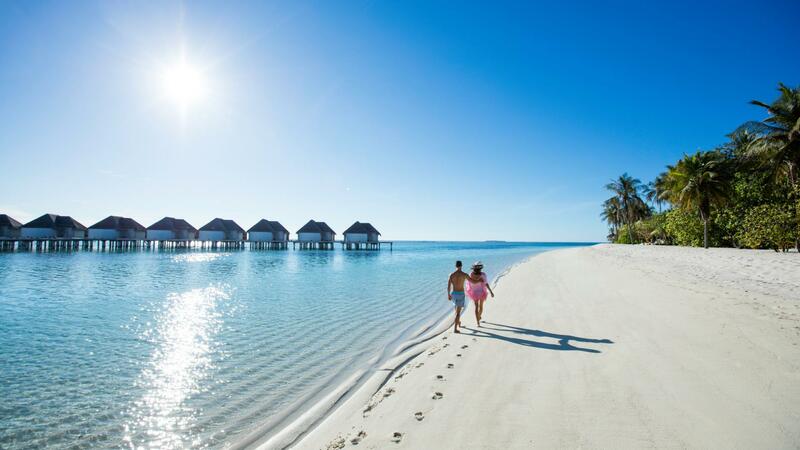 Home to more than 1,200 tropical islands with white sandy beaches and swaying coconut palms, as well as warm, crystal-clear waters that teem with fish and other marine life, the Maldives are a fantastic vacation destination for families, offering an unrivaled and unforgettable experience. While the Maldives tends to conjure images of romantic couples strolling along footprint-free sands on secluded private islands, the archipelago has plenty of family-friendly resorts where children are welcomed. From relaxing on the beach and exploring the colorful underwater world of the reefs to learning how to cook traditional Maldivian food, enjoying painting classes, or discovering how to sail, there is something for everyone in the family in these incredible islands. Here are some of our favorite Maldives all-inclusive family resorts. Located on a private island in the Lhaviyani Atoll, Kanuhura Resort and Spa offers a luxurious family-friendly retreat with spacious air-conditioned villas, several award-winning restaurants, an exclusive spa, and wellness center, and a dynamic children’s club with an array of water-and land-based activities for kids to enjoy. 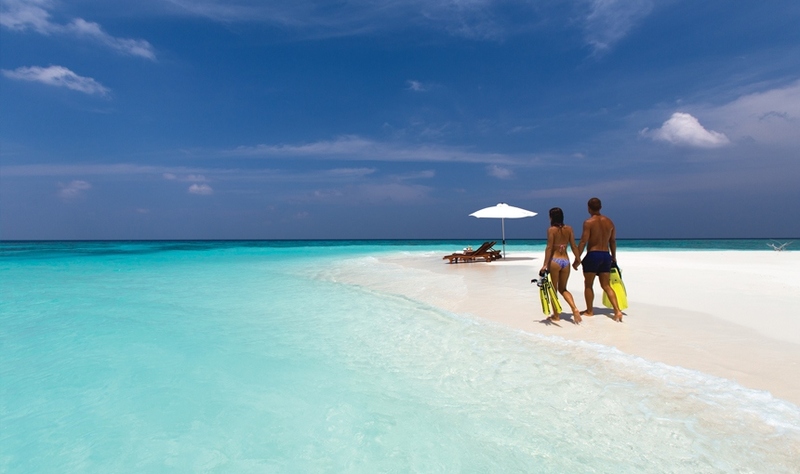 Accessed by a 40-minute seaplane ride from Malé International Airport, Kanuhura Resort and Spa is surrounded by a spectacular reef and several renowned diving sites and provides a wealth of things to see and do for the whole family, making it one of our favorite Maldives all-inclusive family resorts. Kanuhura Resort and Spa is an idyllic escape for those wanting to relax and unwind. An exclusive spa and wellness center offers a range of pampering massages, body treatments, and salon services, as well as private hot tubs with beautiful ocean views. Two flood-lit tennis courts, an air-conditioned squash court, and table tennis facilities are ideal for enjoying a game, while a water-sports center on the beach offers a variety of water-based fun such as snorkeling, scuba-diving, sailing, kayaking, stand-up paddle-boarding, and deep-sea fishing. The resort also has a private island called Jehunuhura, which can be visited for sunbathing, picnicking, relaxing, and private dining. International buffet-style lunch and dinner are served every day at A Mano restaurant, along with sublime Asian fusion cuisine from Veli, freshly grilled seafood dishes and handcrafted cocktails at the poolside Cowry Bar, and private island dining at Jehunuhura. Four bars offer stunning locales and signature cocktails and other libations, and 24-hour room service is available for those wanting tranquility. 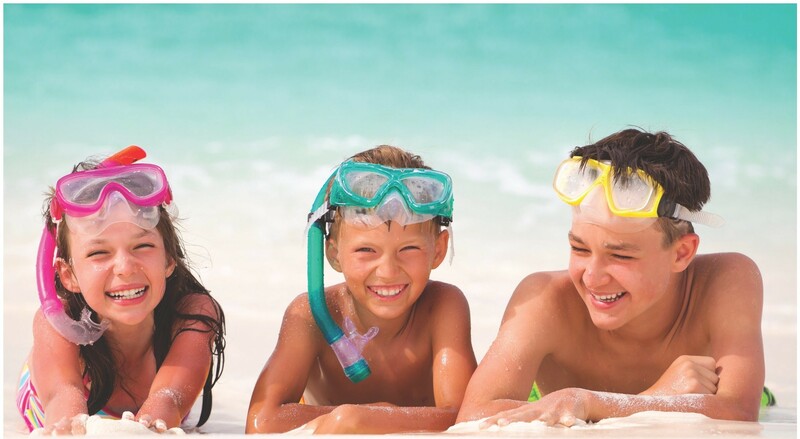 Kanuhura Resort and Spa is ideal for families with children as it provides a wealth of entertainment for both younger visitors and teens. An exclusive Kid’s Club for children aged four to 11 years presents plenty of activities and entertainment, from a sizeable sand-filled playground and shallow swimming pool to cooking and painting classes, reading time, water-sports, and pirate games. A Teen’s Club is available for young adults between the ages of 12 and 17 and offers a variety of age-appropriate sport and recreational activities, such as snorkeling, sailing, and kayaking, as well as excursions. The resort’s on-site Marine Biology Centre presents different educational activities for every day of the week for kids of all ages, lead by a team of marine biologists and experts in the field. To book this incredible family experience, click here. Jumeirah Vittaveli is a stunning all-inclusive family-friendly resort that proves that a luxury holiday for the whole family is do-able without breaking the bank. Located a short 20-minute sail away from Malé International Airport on a stylish motorized catamaran, the resort features exquisite accommodations in the form of deluxe open-plan villas with private swimming pools, several beautifully appointed restaurants and bars, and extensive leisure and wellness facilities, including a 5-star PADI dive center and the Asian-inspired Talise Spa. 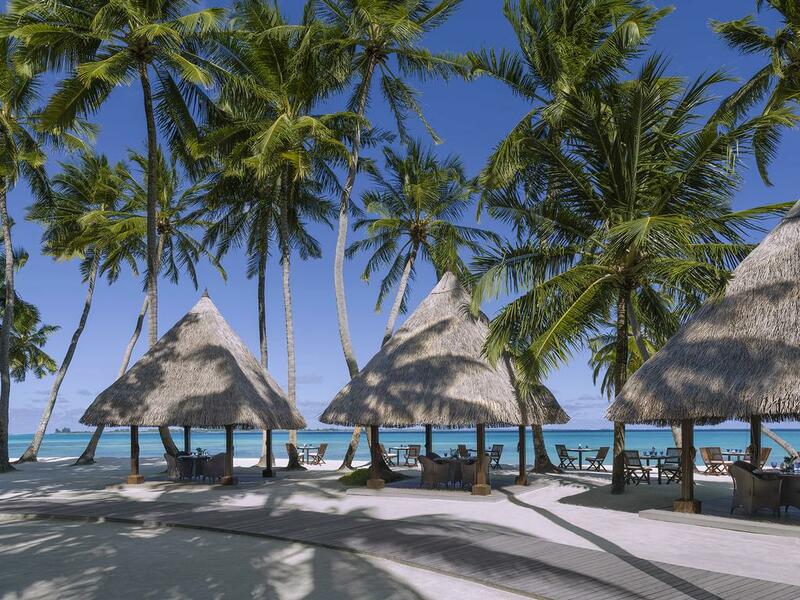 Jumeirah Vittaveli offers adults a wealth of activities, recreational pursuits and an idyllic way to relax and unwind. The exclusive Talise Spa and Wellness Center uses the elements of ‘Vittaveli’ (space and eternal light) to create Asian-inspired holistic treatments that promise to soothe and satiate the body, mind, and soul. A state-of-the-art over-water gym provides an exquisite space to maintain a healthy balance, along with complimentary personal training sessions, beachside training options, circuit training and stretch and yoga classes. Dine in style at one of the resort’s fabulous restaurants where a mélange of idyllic scenery and exotic flavors combine to create unforgettable dining experiences. Explore the ‘Gold at Swarna’ menu at Swarna, which is set in a lush garden with open-air dining cabanas and serves traditional Indian fare with a creative twist or soak up a spectacular sunset panorama over slow signature cocktails at the B4R bar on the beach. Jumeirah Vittaveli offers a range of outdoor and recreational pursuits for the whole family to enjoy, from snorkeling, swimming, and scuba-diving, to kayaking, paddle-boarding, fly-boarding, sailing, and fishing. Jumeirah Vittaveli is home to one of the largest children’s clubs in the Maldives, the Kuda Koli Kid’s Klub, which is packed with fun-filled activities and entertainment for children of all ages. The fully-equipped Kid’s Club and Teen Lounge features a swimming pool, an outdoor area with playground, extensive play areas, an arts and craft room, and a games room with a wealth of board games, video games, and educational material. The Kid’s Club also provides a host of recreational and educational activities such as cooking classes, face painting, T-shirt painting, and an adventurous Treasure Trail that explores the local fauna and flora of the island. All events in the club are led by a team of skilled professional child-minders and educators, and there is a babysitting service for families with young kids. Enjoy a family holiday of a lifetime by clicking here. Another contender for our favorite Maldives all-inclusive family resort is the beautiful Atmosphere Kanifushi. 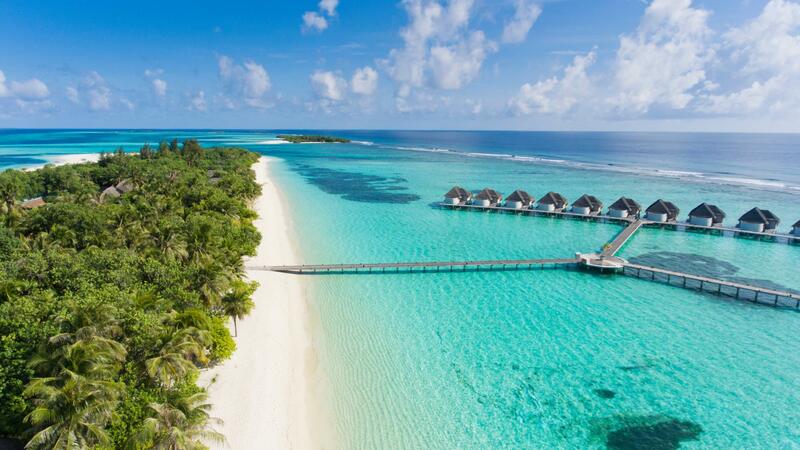 Located in the stunning and sparsely-populated Lhaviyani Atoll and accessed by a 30-minute seaplane flight from Malé International Airport, the luxurious and family-friendly resort is set on a turquoise lagoon surrounded by pristine white sandy beaches. The Atmosphere Kanifushi has some of the most spacious villas in the Maldives, which are perfect for families, combining traditional architectural elements with modern-day amenities, along with a wealth of resort amenities from sunset cruises and full spa services to snorkeling and scuba diving. Atmosphere Kanifushi has something for everyone, whether you are looking for a pampering massage or luxurious spa treatment or wanting to explore the colorful reefs and exotic marine life on a snorkeling or scuba diving excursion. A fully-equipped gym boasts state-of-the-art equipment, personal trainers and a variety of exercise classes, including yoga sessions, and a flood-lit tennis court is perfect for a game in the cool of the evening. Other sports facilities include beach volleyball, jogging trails, and a water-sports center that offers an array of complimentary activities, such as snorkeling, scuba-diving, sunset fishing, and non-motorized water sports. Five restaurants and two poolside bars provide outstanding dining and beautiful settings for cocktails. Tuck into authentic buffet-style international cuisine with live cooking stations at the Spice, savor pure vegetarian cuisine at Just Veg or enjoy a la carte dining and fresh seafood at the Teppanyaki Grill along with fine wines and spirits from around the world. Atmosphere Kanifushi has an exclusive Kid’s Club that presents a daily activity schedule for children of all ages. Led by a friendly, professional team, the club has a variety of fun-filled adventurous activities and educational experiences from cooking and painting classes to snorkeling sessions, swimming lessons, adventure trails, and more. Babysitting services are available at an additional charge for children the age of four years. 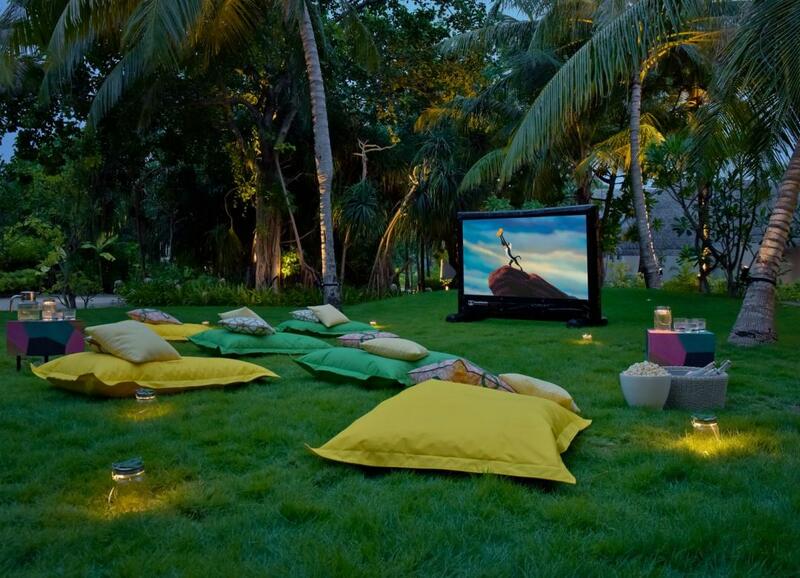 Kick back in style at the Atmosphere Kanifush and book here. Families will love Shangri-La’s Villingili Resort and Spa as it is one of the Maldives’ most kid-friendly resorts. 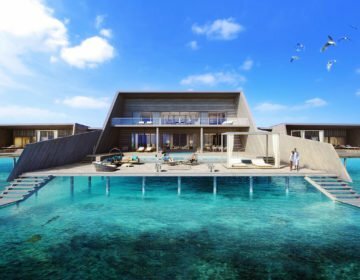 Situated 70 minutes from Malé International Airport on the Maldive’s Addu Atoll, the hotel features beautifully appointed villas in a variety of styles from tree-top huts to luxurious ocean-perched two-bedroom villas with infinity pools, which are ideal for families with children. Designed with Middle Eastern and Indian-inspired influences, the villas boast modern conveniences and deluxe amenities to ensure a hassle-free stay. Creating harmony with nature, the resort has three restaurants and bars with superb cuisine and breathtaking ocean views, and an array of amenities, facilities, and guests service promise to delight. 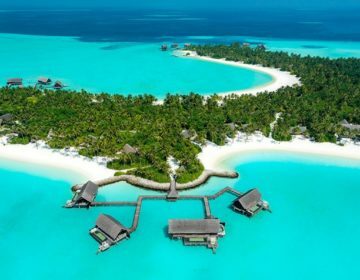 Such services include an exclusive spa with a full range of indulgent and pampering massages and spa services, a unique nine-hole golf course (the only of its kind in the Maldives), bicycle tracks with complimentary bicycles, and guided tours of several surrounding islands. Surrounded by lush tropical greenery and offering ample privacy, Shangri-La’s Villingili Resort and Spa accommodations provide the ultimate in island style. Beautifully appointed air-conditioned villas are equipped with state-of-the-art amenities such as 40-inch flat-screen TVs, BOSE DVD players, and iPods with a docking station, as well as private swimming pools. An exclusive spa and wellness center, CHI, The Spa is located in its spa village within the resort and boasts spacious treatment villas with private gardens and steam rooms, and a stunning yoga pavilion overlooking the Indian Ocean. The spa offers an array Asian massages and Indian Ayurvedic treatments, along with locally inspired holistic treatments, and salon services. 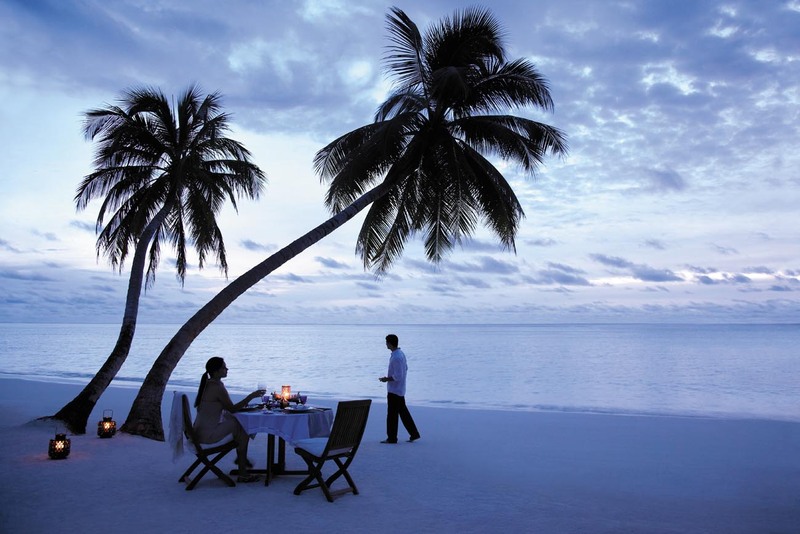 Dining at Shangri-La’s Villingili Resort and Spa is a delight with a range of culinary specialties from the Indian Ocean, the Arabian Gulf, and the South China Sea to savor. Taste Mediterranean-inspired cuisine and freshly caught seafood at Fashala Lounge or enjoy al fresco dining and international flavors around the clock at Jaavu. Sip signature cocktails at Endheri, Manzaru Bar or M-Lounge or sneak off to an exclusive destination on the island for private dining with Dine by Design. Shangri-La’s Villingili Resort and Spa has an exclusive children’s club called the ‘Cool Zone’ that welcomes children aged four to 12 years and provides a range of different activities, amenities, and facilities. Some of the adventurous offerings at the club include the Jungle Club where the kids can meet and interact with an array of local animals and reptiles, an arts and crafts room where they can enjoy painting, drawing, and other crafts, games, and fitness activities and several water sports. An Island Safari Handbook is given to young guests who can discover the island’s nature and biodiversity, explore the landscapes with a safari map, and identify the local fauna and flora on a guided Tropical Safari on Villingili Island. Other fantastic children’s adventures and activities include the Young Pirates of Villingili, Jungle Discovery, Crab Hunting & Racing, Underwater Adventures, Nature Arts & Crafts, and Island Fitness, which involves getting fit and playing at the same time with an array of sports such as swimming, tennis, running, and yoga. Head to this stunning island by clicking here.